Successor of the DualSim Platinum V7.0, the Dual SIM card adapter Platinum Plus is an intelligent device enabling you to install two SIM cards in one mobile phone. 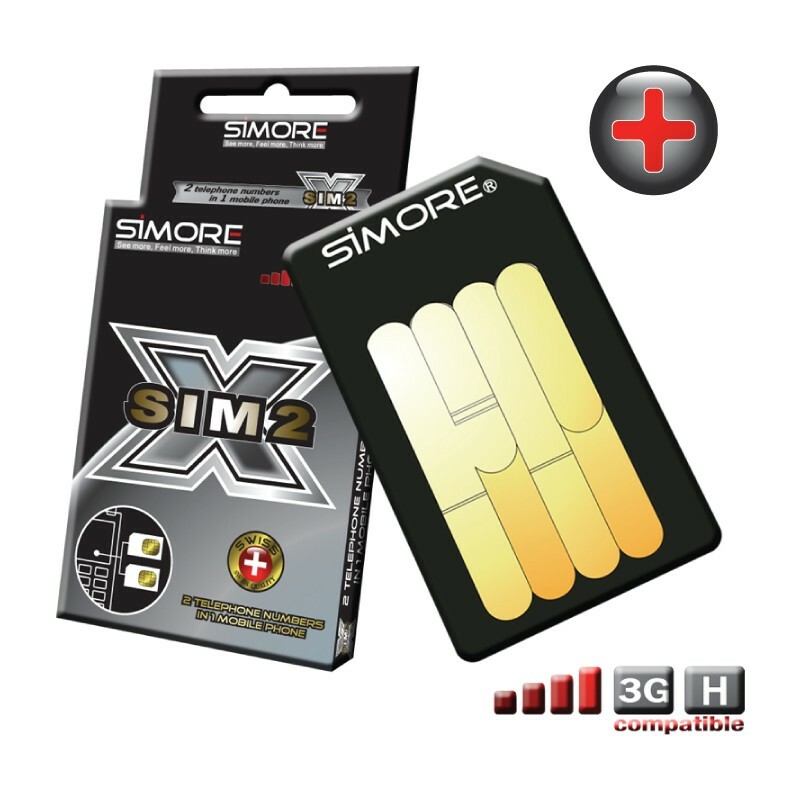 Simore Platinum Plus Dual SIM card adapter incorporates our SIM cards software algorithms recognition technology. The performance of Simore Platinum PLUS Dual SIM has been significantly optimized for the iPhone, Android, Symbian, Bada and other mobile's OS. This brand new Dual SIM Card allows users to take full advantage of Internet access and video connections via 3G - UMTS - WCDMA - HSDPA (High Data transfer speed) networks. The Platinum Plus Dual SIM version requires the cutting of your SIM cards and settles directly into the slot of your SIM card. Our system is reversible. We provide in every pack two recovery tools that enable you to restore your SIM cards to their original form and place each of them into two separate phones. Switch between SIM and USIM cards much faster. Optimized processes to facilitate the memory use and decrease the battery consumption. New software architecture to provide increased capacity, improved performances and faster applications. The Simore DualSim Platinum Plus has an active internal memory allowing you to store, manage and protect your contacts and personal information (secret agenda, confidential directory, secret SMS, etc. ..). Platinum Plus Dual SIM card includes an encrypted SMS function which allows you to send and receive confidential information. To achieve high quality products, Simore uses innovative and futuristic designs, together with the latest flexible printed circuit board technologies (Technology CoF). Our focus on manufacturing quality, combined with excellent product components, allows us to create "best in class" products. The micro-controller (high capacity) chip is now covered with film protection to ensure a safe use during handling.